PRICE REDUCED! This is the waterfront property you've been searching for!! Over one acre with breathtaking main channel views of Lake Norman from almost every room for under a million! 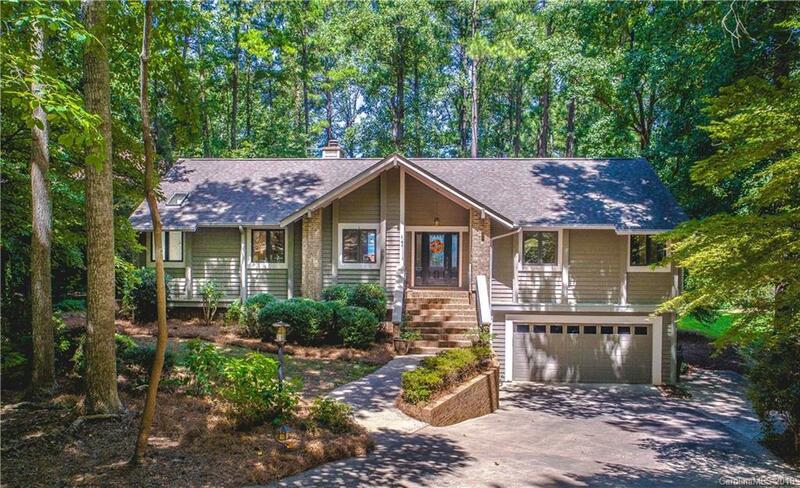 Long private driveway leads up to this stylist ranch with finished walkout basement. Open concept with modern kitchen featuring granite countertops, custom tile backsplash, and SS appliances. Oversized master suite complete with gas fireplace and large windows boasting tons of natural light while showcasing the expansive views. Enjoy entertaining from your sizable porch accessible from the master, living room, or kitchen. With its convenient location to Birkdale Village and I-77, neighborhood amenities including tennis courts, pool, and lake access, this is one property you do not want to miss!